Celebrate beautiful simplicity when you post the Dress Poster before your big reveal. 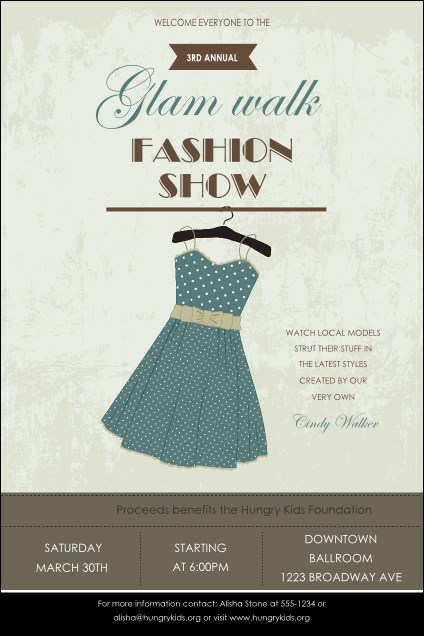 A timeless blue dress adorns this pretty poster template, with muted tones and classic script. Whether you're the designer, the model, the promoter or all three, this poster covers the details! Need coordinating tickets, invitations and fliers? Order a Matching Event Kit from TicketPrinting.com.